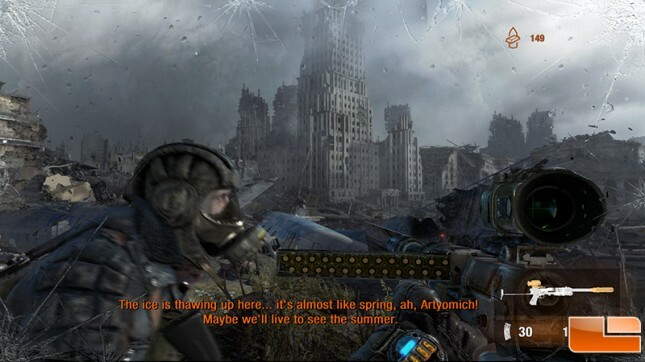 Metro: Last Light was benchmarked with very high image quality settings with the SSAA set to off, Tesselation on normal and 4x AF. We used the game titles built-in benchmark (seen above) and ran it 3 times at each screen resolution to ensure accurate results. 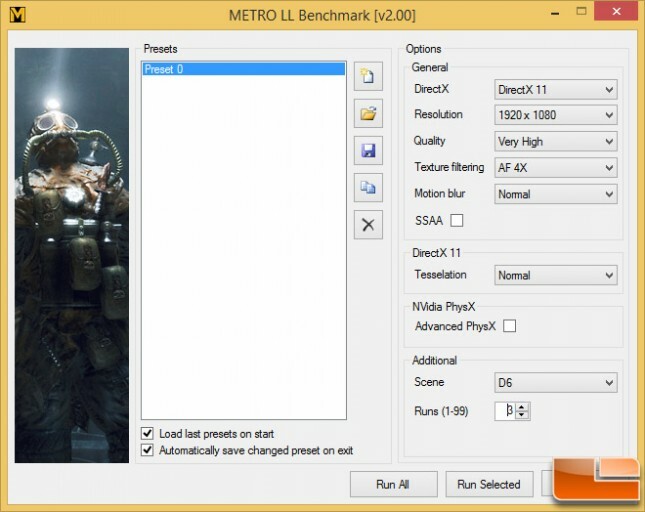 Benchmark Results: In Metro: Last Light we found that there is a fairly significant difference between processors with the NVIDIA GeForce GTX 780 Ti discrete desktop graphics card installed in the system. The Intel Core i7-4770K and Core i7-4790K were similar when it came to the average FPS and were nearly twice the speed as the Intel Pentium G3258 at stock speeds and even when overclocked up to 4.8GHz. At 1280×1024 we were getting 53.5 FPS on average with the Intel Pentium G3258 with stock speeds and 68.00 when overclocked. You can clearly see the processor is bottlenecking performance because as soon as we switched over to the Intel Core i7-4770K processor we jumped up to 108 FPS on average and the low and maximum frame rates also greatly improved. 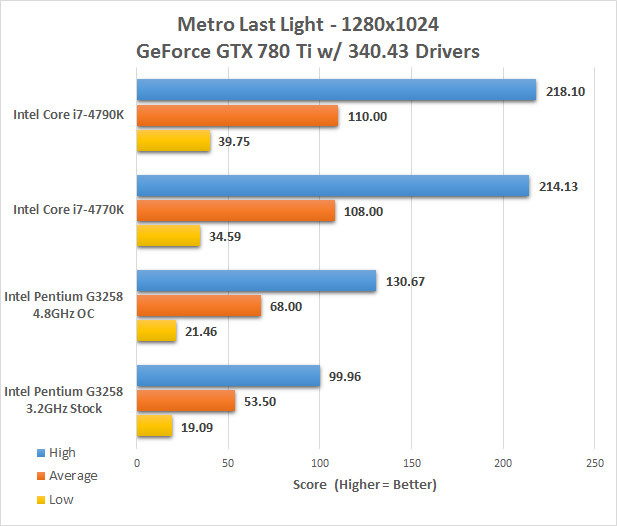 Benchmark Results: With the screen resolution bumped up to 1920×1080 we found that the average FPS dropped by a fair amount on the 4770K and 4790K, but minimally on the Pentium G3258.